According to the Real Estate Staging Association, professionally listed staged properties simply look better; spend 73 percent less time on the market; typically sell for more money and have fewer concessions requested of the seller. Staging is a strategic marketing tool designed to show a property in its best possible light. Professional stagers and many realtors believe in the power of this technique no matter the market — potential buyers can see all the possibilities and sellers can get top-dollar and a quicker sale. 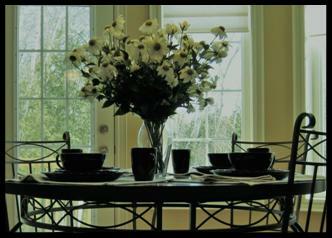 On Stage ~ HOME STAGING services Durham Region. Real Estate Home Staging Pickering, Real Estate Home Staging Ajax, Real Estate Home Staging Uxbridge, Real Estate Home Staging Whitby, Real Estate Home Staging Brooklin, Real Estate Home Staging Oshawa, Real Estate Home Staging Port Perry, Real Estate Home Staging Courtice, Real Estate Home Staging Bowmanville, Real Estate Home Stagiing Newcastle Real Estate Home Staging Durham. Real Estate Home Stager Pickering, Real Estate Home Stagier Ajax, Home Real Estate Home Stager Uxbridge, Real Estate Home Stagier Whitby, Real Estate Home Stagier Brooklin, Real Estate Home Stagier Oshawa, Real Estate Home Stagier Port Perry, Real Estate Home Stagier Courtice, Real Estate Home Stagier Bowmanville, Real Estate Home Stagier Newcastle Real Estate Home Stager Durham.